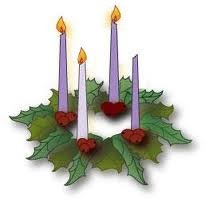 Advent is a spiritual journey that Christians take, through the truths of Scripture that point to the birth of Messiah, to a reaffirmation that he has come, is present in the world today and will come again in glory. We often miss Advent's power because these December weeks are full of secular Christmas parties and preparations for Christmas. Each year, the busyness of this season serves to distract us from having an Advent season that truly prepares us for the celebration of Christmas, with all its meaning.